Those who hesitate are lost - especially when it comes to purchasing tickets for the ‘mix-perience’ of a lifetime! This is the last chance to purchase passes for a weekend escape to KAABOO Del Mar before the prices increase. Whether you are looking for that perfect long weekend getaway, or to enjoy great music, food, arts, and comedy for a few days, KAABOO has you covered. HANG TEN VIP 3 - Day Pass: ($2,499) - VIP for the entire weekend, Complimentary food and beverage in designated areas, Hang Ten stage viewing areas at main stage and two other stages and KAABOO Artist Lounge access. HANG FIVE VIP 3 - Day Pass Level 2: ($729) - VIP-only Thursday night, featuring memorable live performances, VIP "SuperLounge" and viewing area at Sunset Cliffs main stage, VIP only viewing area at all other stages, Access to three KAABOO VIP Lounges. HANG LOOSE GA 3-Day Pass Level 2: ($229) - Three-day access to all stages, Entry into all GA experiences. Not familiar with the KAABOO ‘mix-perience’ - check out our recap from last year's inaugural festival. 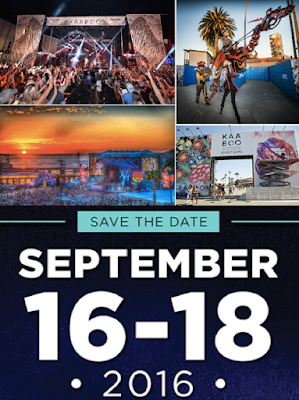 KAABOO is a three day event taking place in beautiful Del Mar on the weekend of September. The upscale experience combines great live music, delicious food vendors, impressive and unique art displays and your favorite comedians all in one place. As the perfect weekend escape, KAABOO is a cut above your average music event and you never have to worry about sacrificing comfort and luxury for an amazing experience. Don’t get stuck with regret. Purchase your passes today before the price goes up. Additional information on KAABOO and how to purchase tickets can be found online.